*This section details the workflow enhancements provided as a part of Projects+ functionality. 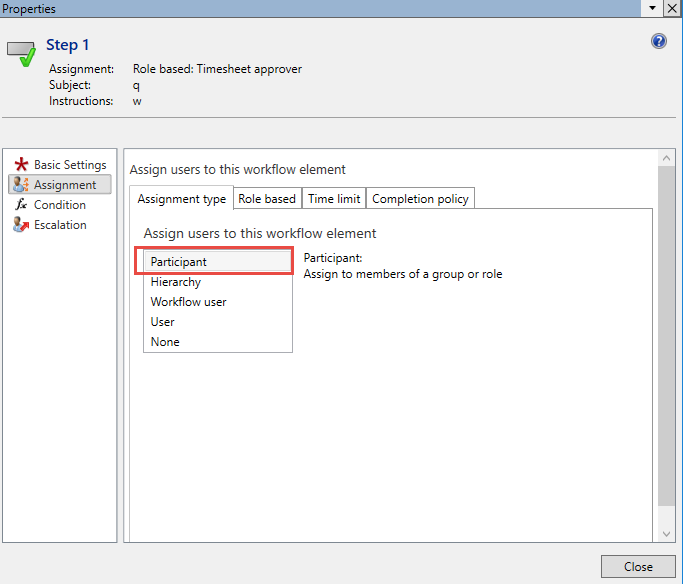 This sections tells you how to configure approvers on the worker and those approvers are then configured in the workflow. New fields are introduced on the Worker’s form to setup the approvers for the worker. A new button has been added on the action pane, called Assign approvers. Go to Human resources > Workers > Project tab > Assign approvers. Note: The worker selected in the worker form should belong to the current legal entity; or the approver fields will be disabled. Timesheet approver – The user setup in this field will be the approver of timesheets for the selected worker. Expenses approver – The user setup in this field will be the approver of expenses for the selected worker. Requisition approver – The user setup in this field will be the approver of purchase requisitions for the selected worker. Go to Project management and accounting > Setup > Project management and accounting workflows. On the Action Pane, click New. 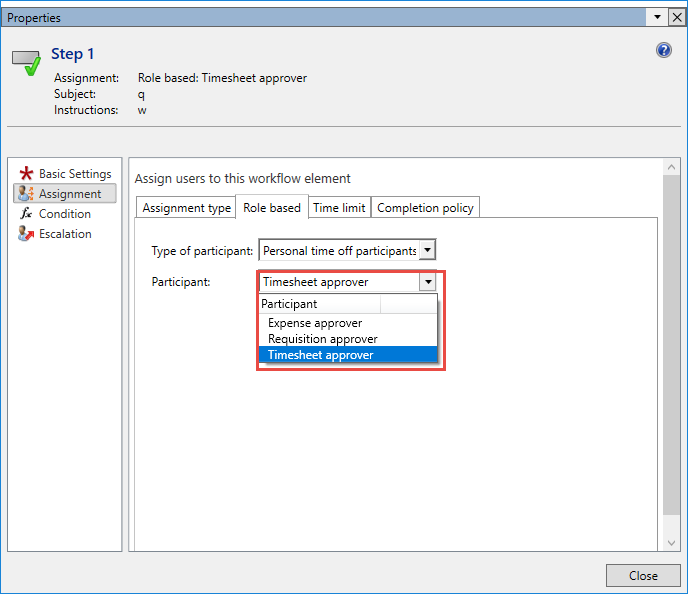 Select the Review timesheet workflow in the Select workflow type form. Setup the workflow as it would be set up in standard. In the Assignment type tab, select the assignment to be Participant as shown below. Click the Role based tab, to select the type of participant for approval. Once the approvers are assigned on the workers form and workflow is configured for assignment type based on participant, below list of transactions will be assigned to appropriate users for approval.